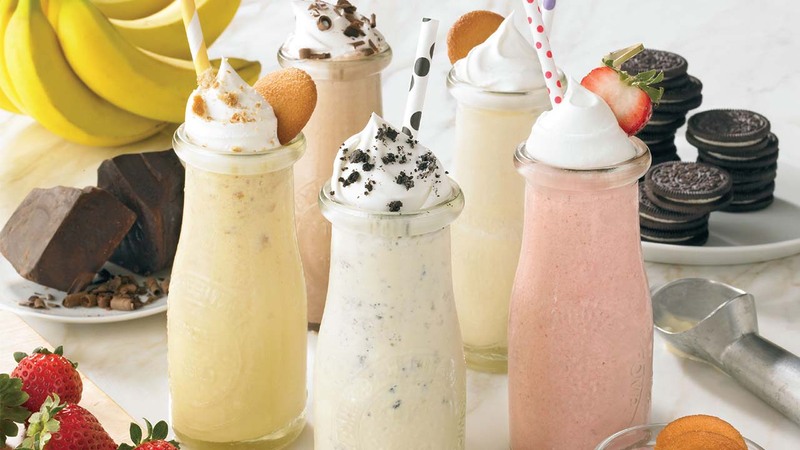 The weather's warm, and these are viewers' favorite spots to indulge in a milkshake! Whether you stop by the one on Westheimer or in The Woodlands, viewers recommend the Cheesecake Milkshake at Katz's. It's a whole slice of cheesecake blended with vanilla, chocolate or strawberry flavor. If that's not your thing, they've got regular milkshakes made with Blue Bell too. Perks Beanery in northwest Houston is a coffee shop, but they also serve up milkshakes in coffee mugs as big as your head! The shop uses Blue Bell ice cream too! Stop by Connie's between Grant Road and Cypress North Houston Road in northwest Harris County then next time you get a craving for a sweet treat. They use a 65-year-old recipe, and you'll find Connie working in the store nearly everyday. When you visit Another Time Soda Fountain in Rosenberg, you literally feel like you're living in another time! All their desserts are made as if you were back in the 1950's. They have a 1 lb. banana split, ice cream sodas, shakes, and malts. All of their meals are also made from scratch, so come early to enjoy the daily blue plates. The cats at Fat Cat Creamery whip up small batches of ice cream from local ingredients. They have three favors year round and come up with unique seasonal flavors that make for great shakes. They made our list of Houston's Top 10 Ice Cream Shops, so we know their milkshakes are top notch too! There are three 59 Diner locations in the area and they're open 24 hours! If you get that midnight milkshake craving, you know where to go! Nonnie's in Tomball now buys all of its products from local farmers, so if you want to support the local community, this is a pretty good way to do it! A good milkshake for a good cause sounds pretty darn good to us! The cute little shop in Galveston features a working 1920's soda fountain serving malts, shakes, ice cream sodas, sundaes, splits, and floats. La King's serves "Purity" ice cream, which is Texas' first ice cream manufacturer, founded in 1889 on Galveston Island. If you see the bright green and yellow building in Kemah, you've made it to Tookie's! They're known for their burgers, but what goes better with a burger than a milkshake? Theirs are all made with Blue Bell, and you can choose from the standard chocolate, vanilla, and strawberry, as well as Heath Crunch, Oreo, and 4Berry. You can't have a Fuddrucker's burger without visiting the bakery and washing it down with one of their milkshakes. Lucky for us, there are locations all over the greater Houston area whenever you're having a craving for milkshakes!